Anyone who visits Vienna cannot fail to be astonished at how the city lives and breathes music, as if the musical giants of the 19th century were still alive and walking the streets, some of which are named after them. Brahmsplatz, Schubertring and Beethovenplatz, to name but a few. Walking around Vienna as a student, I would often pass museums celebrating their lives and the many buildings where they used to live or compose – especially in the case of Beethoven who moved house at least 60 times in his 34 years! All three passed away in Vienna but Schubert of course was the only one born there, the other two moving and settling there, Beethoven in 1792 and Brahms in 1868, for a very substantial part of their lives. Their statues around the city look down with noble gazes, possibly with questioning glances at all who dare to play their mighty masterpieces! The Zentralfriedhof in Vienna is the resting place for Beethoven, Schubert and Brahms. Schubert, a coffin bearer at Beethoven’s funeral, and Beethoven lie just a few metres apart – as Schubert wished it to be, with Brahms just a few short paces to the right. A marble bust of Beethoven looked down at the desk where Brahms composed, such was Brahms’s reverence for his predecessor. So much links these three composers, yet their musical personalities and works are so very different. Although Vienna had become Brahms’s home almost 20 years before writing his wonderful F major Sonata, he wrote the sonata on holiday in Switzerland, near Lake Thun – “…I’m happy with my decision; it’s absolutely magnificent here. By the way, I’d also just mention that there’s a ton of Biergartens…”. So wrote Brahms, the man who loved his food and wine, in 1886 on a postcard to his future biographer, Max Kalbeck. The triumphant and celebratory opening of the Cello Sonata calls to mind his Third Symphony, also in F major. It is very much in a different world from that of his other Cello Sonata in E minor, composed some 20 years earlier. The brooding, introverted and autumnal feel which characterises his first cello sonata is replaced here with a breathtaking confidence, vitality and sense of momentum that is quite overwhelming. Furthermore, this sonata has an incredibly wide variety of moods. The slow movement, with its astonishing home key of F sharp major, lifting us up out of the first movement, contains some of his most tender and moving writing, whereas the third movement comprises a fiery and tempestuous scherzo interspersed with a very sunny and warm trio section. However, as the restless nature of the underlying piano part never really allows for the feeling of resolution and arrival, one has the feeling that the music provides merely a fleeting glimpse of a better world. Some people have dared criticise Brahms for writing final movements that are somehow lightweight and almost superficial. However, for a composer of such perfectionism, who once claimed to have destroyed 20 string quartets before publishing his official first quartet in 1873 (not to mention the story of his first symphony! ), his decision to finish this sonata on a lighter note surely reflects a wish for the work to have a perfect symmetry and structure which leaves one feeling that the journey is complete and positive. After the drama of all that preceded it, for the performer (and hopefully listener!) it is such a relief to arrive at the last movement’s opening, which is light and filled with sunshine. As his pupil Gustav Jenner wrote, “few could be as loveable as he…”. “In a word, I feel myself to be the most unhappy and wretched creature in the world. Imagine a man whose health will never be right again, and who in sheer despair over this ever makes things worse and worse, instead of better; imagine a man, I say, whose most brilliant hopes have come to nothing, to whom the joy of love and friendship have nothing to offer but pain, at best, whose enthusiasm (at least of the stimulating kind) for all things beautiful threatens to vanish, and ask yourself, is he not a miserable, unhappy being? – ‘My peace is gone, my heart is sore, I shall find it never and nevermore’ I may well sing every day now, for each night, I go to bed hoping never to wake again, and each morning only tells me of yesterday’s grief.” Thus wrote Schubert in a letter to his friend Leopold Kupelweiser seven months prior to composing the Arpeggione Sonata in 1824. How much of this is reflected in the Arpeggione Sonata? Indeed how much of Beethoven’s suffering, as reflected in the Heiligenstadt testament of 1802, seeps into Beethoven’s music? In Schubert’s Arpeggione Sonata I believe the vulnerability is very present, if not heart on sleeve. In the Sonata’s opening movement, no sooner does the music appear to arrive somewhere, about to cadence into the major, it slips back into the minor, with diminished chords touched with melancholy and regret. The central movement is utterly sublime and is in the same key of E major as the almighty slow movement in his C major String Quintet. Time stands still and we are transported to a world of purity and poignancy which only composers of Schubert’s genius can create. The third and final movement wanders along in no particular hurry. The elongated accents/diminuendos/leans at the beginning of many of the bars of this movement’s first section, characterise it with a lightness and a lilt, an acceptance that is almost nonchalant in style. Three livelier sections intersperse and the work closes with the last movement’s theme transporting us to a better place. The monumental A major Sonata by Beethoven was written in 1808, the same year that saw the completion of his fifth and sixth symphonies and a four-hour long concert in Vienna conducted by him which consisted entirely of first performances of his compositions. The sonata opens with a beautiful cello theme, 17 magical notes filled with great depth, which considering the drama and tempestuous nature of the fifth symphony, are remarkably serene and philosophical. One can imagine the great man walking through the Viennese woods, something which he loved to do (as did Schubert and Brahms), pondering life in all its facets. The culmination of the first movement sees this first theme in fortissimo, in unison with the piano, a final “fists in the air” statement of the initial question. Beethoven whimsically and almost with an air of “c’est la vie”, brings the movement to a close. The second movement is a fiery and relentless Scherzo, interspersed with two wonderful and identical trio sections, as sunny and carefree as their counterpart is turbulent. In typical fashion of the extraordinary ability Beethoven had to lift us out of doom and gloom, this third and final movement is no exception. It consists of a beautiful introduction, magically tender and peaceful, after which we are released into one of his most fun and light-hearted movements, high in spirit, daringly fleeting and playful. Born in Swansea, Thomas Carroll studied with Melissa Phelps at the Yehudi Menuhin School and with Heinrich Schiff in Austria. He is one of only two artists ever to have auditioned successfully for both Young Concert Artists Trust in London and Young Concert Artists, Inc. in New York. As a concerto soloist Thomas has appeared with the London Symphony Orchestra, Philharmonia Orchestra, Royal Scottish National Orchestra, BBC National Orchestra of Wales, London Mozart Players, ViVA, Vienna Chamber Orchestra, English Chamber Orchestra, Prague Philharmonic, Sofia Philharmonic, Melbourne Symphony Orchestra and Bayerischer Rundfunk Orchestra. Much in demand as a chamber musician, Thomas has worked with the Belcea Quartet, Chilingirian Quartet, Endellion Quartet, Yehudi Menuhin, Ivry Gitlis, Gidon Kremer, Steven Isserlis, Mischa Maisky, Janine Jansen, Michael Collins, Julian Rachlin at Wigmore Hall, the Edinburgh and Cheltenham International Festivals, among many others. Recent engagements have included concerts at Wigmore Hall, the Louvre in Paris, Konzerthaus in Vienna, the Dubrovnik Festival, Bath MozartFest and Mecklenburg Festival and appearances as soloist with the BBC Concert Orchestra, Royal Philharmonic Orchestra, London Philharmonic Orchestra, London Mozart Players, Philharmonia, Orchestre Regional de Cannes and Vienna Chamber Orchestra. He has also given recitals and concerts in Holland, Ireland, Germany, Austria, Switzerland, Spain, France, Belgium, Russia, Sweden, South Africa and Japan. He frequently broadcasts on radio stations worldwide. 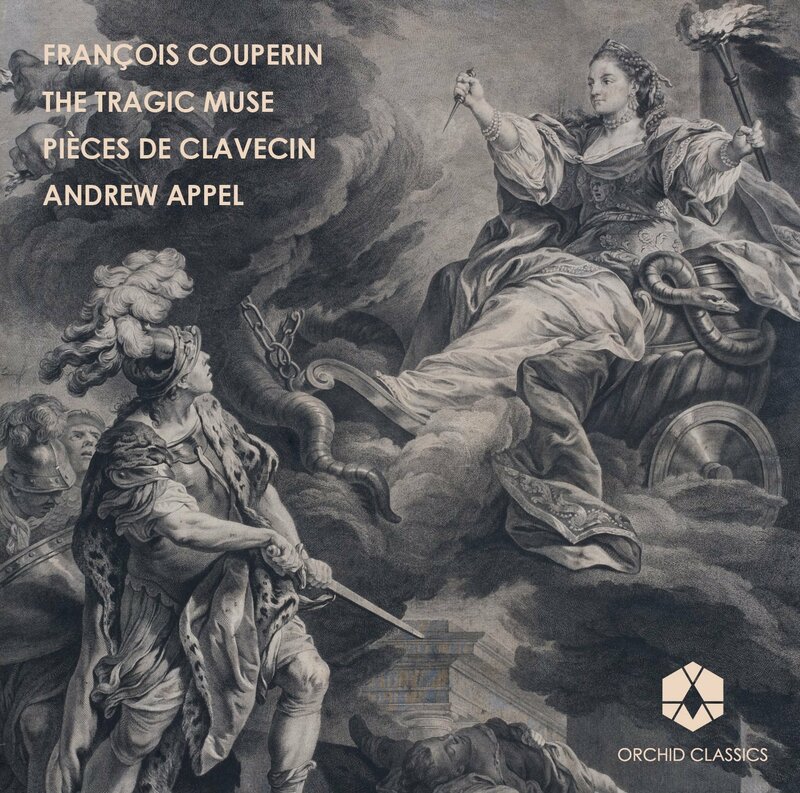 He has recorded the Berkeley String Quintet with the Chilingirian Quartet for Chandos records and several discs with his ensemble, Conchord, for Orchid Classics. Llyr Williams has performed with many orchestras including the BBC Symphony Orchestra, BBC National Orchestra of Wales, London Mozart Players, London Philharmonic Orchestra, Hallé Orchestra, Sinfonia Cymru and Minnesota Orchestra. He also appears at the BBC Proms in London and at the Edinburgh Festival. The 2009/10 season included his Salzburg debut, with the Mozarteum Orchestra and Ivor Bolton, an appearance with the LPO and Jukka-Pekka Saraste, as well as performances at the Schubertiade in Perth and with I Pomeriggi Musicali in Milan. 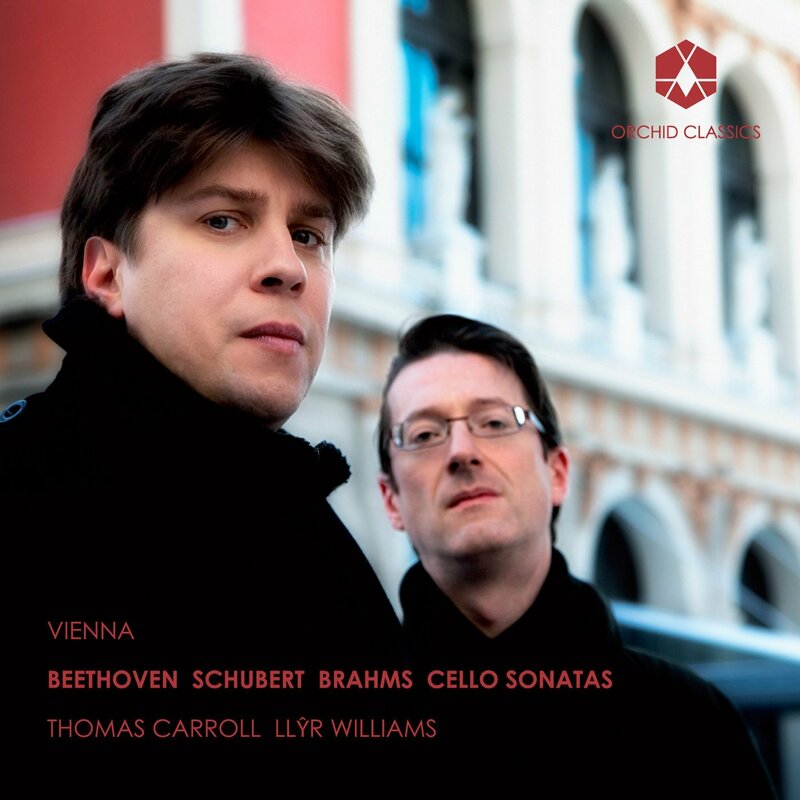 Throughout 2010 Llyr performed a Beethoven sonata cycle around the UK and gave recitals in Wigmore Hall and in Ghent. His collaboration with violinist Alexander Janiczek continued with a Beethoven series in Perth and at the Aschau Festival. September 2010 saw the release of his latest CD featuring music by Mussorgsky, Debussy and Liszt. Llyr is the subject of two films produced for S4C: one won a Welsh BAFTA for Best Music Programme, the second featured his debut at Carnegie Hall in New York. Llyr Williams studied at The Queen’s College, Oxford and the Royal Academy of Music. From 2000-02 he was a Shinn Fellow at the Academy, coaching singers and studying conducting. Llyr has been one of BBC Cardiff Singer of the World’s official accompanists since 2003.